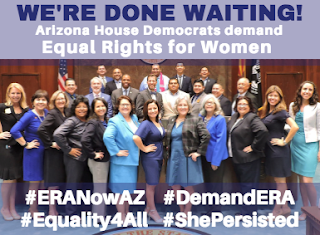 Today Democrats stood up for equal rights for women. We're done waiting. Please see this video message from Rep. Pamela Powers Hannley, D-Tucson (District 9).